Sojiro Sakura is the Hierophant Confidant in Persona 5. His abilities support the party by allowing them to recover great amounts of SP during battle. We will update this as we go along. 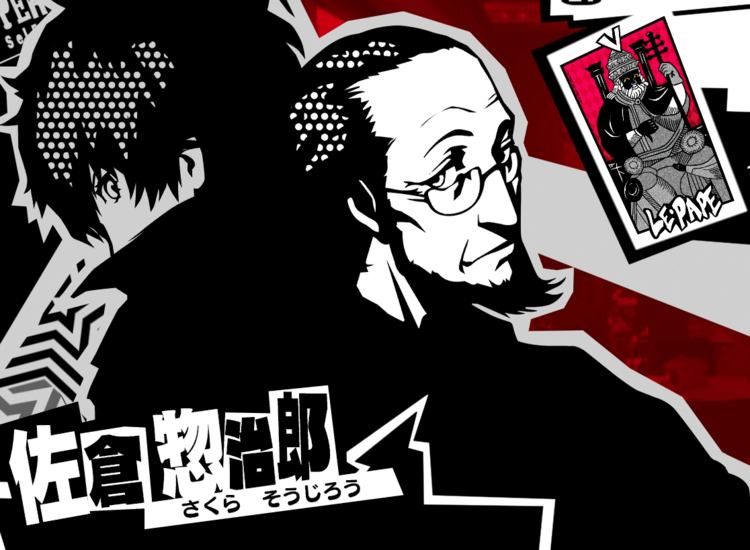 Sojiro Sakura is the Hierophant Confidant in Persona 5. His abilities support the party by allowing them to recover great amounts of SP during battle. Sojiro Sakura is the adoptive father of Futaba after the latter’s biological mother died in a traffic accident. He has since been very protective of her and does not readily allow anyone to interact with her without his permission. He owns and runs the Cafe Le Blanc. Sojiro Sakura’s Confidant relationship automatically unlocks after April 20. The Hierophant confidant grants you abilities to easily regain the party’s lost SP by brewing coffee or cooking curry. 2 Traditional Coffee Allows you to brew coffee to moderately restore a party member’s SP. 4 LeBlanc Curry Recipe Allows you to cook curry to moderately restore the entire party’s SP outside of battle. 6 Zenith Point Coffee Allows you to brew coffee to greatly restore a party member’s SP. 9 Secret of LeBlanc Curry Allows you to cook curry to greatly restore the entire party’s SP outside of battle. 10 Omega LeBlanc Curry Allows you to cook curry to greatly restore even more of the entire party’s SP outside of battle. 1 – At 4/20 after you’ve arrived home he will be available to talk to. 2nd Choice:　Is it troublesome? +2 *Sojiro will ask you to brew coffee once before this rank. 2nd Choice:　I was just protecting Futaba +2 Starts the Mission The Money Grubbing Uncle. Locks Soujirou and Futaba cooperations until finished. You can start the Mission by talking to Futaba in front of LeBlanc. 2nd Choice:　You have a great daughter +3 Locked until Mission The Money Grubbing Uncle is completed. On Rank 5’s 3rd choice, it gives you +2 instead of +3. I had the corresponding persona as well. Some of the answers give less points, the list is incorrect. Please look into this and fix it soon. you have a corresponding persona?